Two Trevecca journalism students have been nominated for awards at this year’s Associated Press Broadcasters and Media Editors (APME) College Contest. The winners will be announced at the Tennessee AP’s annual College Career Day and Awards event, set for April 27. Held each year, the College Career Day and Awards event allows students to learn from and meet with news professionals. The awards competition pits Trevecca’s student journalists against college reporters from across the state, including Vanderbilt University, the University of Tennessee, the University of Memphis and Middle Tennessee State University. The nominations point to the quality of Trevecca’s growing multimedia journalism program, Werking-Weedman says. “Our entire program is centered around teaching students to think and practice like professional journalists, so it's validating for our students when professionals from around the state choose their work for awards," Werking-Weedman said. Dance, the editor of the TrevEchoes, has taken part in the contest for several years, bringing home awards for best newspaper/specialized topic reporting and best online spot coverage, in addition to garnering the title of best college newspaper reporter last year. 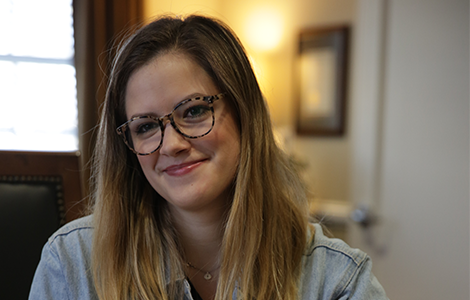 Dance, who interned with the Nashville Scene last summer, says her experiences in and outside of the Trevecca campus have helped to shape who she is as a journalist. 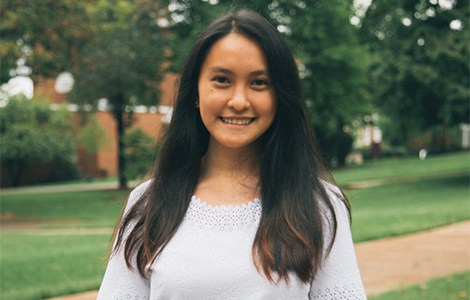 Monteros was excited to learn of her nomination, describing the nomination as “validating.” Currently studying journalism in New York City through Trevecca’s partnership with King’s College, Monteros is an entertainment news intern at Newsweek. Reflecting on her college career, Dance offered a few pieces of advice to other journalism students. The awards ceremony will take place on April 27 at the John Seigenthaler Center in Nashville. See the entire list of finalists.